Yes, this oft-neglected blog has, in fact, survived another year of existence. Believe it or not. 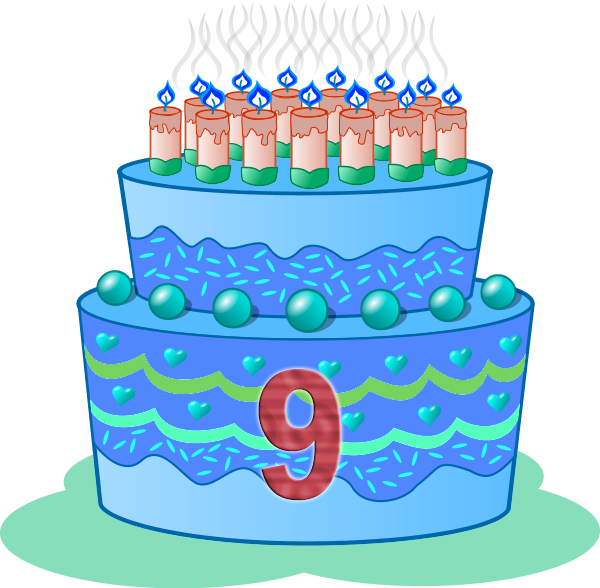 Bloggy is nine now. With the passing of time, it's increasingly difficult to tap into what my goals for this blog were way back when I started it in 2005, but recently I've had a couple of hours-long conversations with a friend that have got me thinking about the last nine years of my life as a whole unit, a single story arc. And a lot of the things that really threw me for a loop at one time now make much more sense in that broader context. I'm not sure if I want this blog to take on a "memoir" role... but I can see how much I've left out over the years, either because I didn't feel comfortable sharing it at the time or because I didn't understand it myself. I can also see that I actually have some life experiences now that might someday be worth contributing to society at large. But for now, those will remain topics for another heretofore undetermined day. Anyway, I'm still doing the grad school thing, with taking classes and teaching being my two main priorities and serving the Computer Science Department as president of its Graduate Student Organization filling in a lot of the cracks. Since most of my friends from my undergrad years have moved away (and I miss you all dearly), and this has left me feeling isolated at times, I've also been trying to branch out socially and am pleased to have found a couple groups which I'm feeling more a part of each week. That said, managing all of this while still trying to maintain composure and achieve personal growth is a tough task. As a result, at many times over the last two years, it's felt as though I've been working myself into the ground in all sorts of capacities — as a student, as an educator, as a professional, even as a friend — and in many cases, that's been true. So, while I've still got work to do this summer toward finishing my degree, since the spring term wrapped up, I've been taking some much-needed time to myself, just to regroup, rediscover my inner strength, and recharge for what lies ahead. It's very easy to lose one's self-confidence when there's a near-daily chipping away, which makes times like these all the more important and worthwhile. 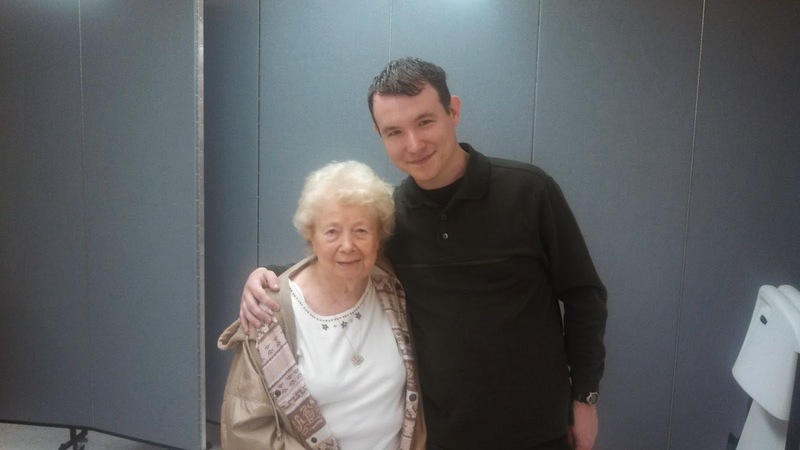 And so, over these last couple weeks, I got to spend some quality time with lots of family, including my great-grandmother, Esther, who turned 100 on 4 May, which is just incredible! Here we are together on the big day! I also got to spend time helping out my aunt and uncle a bit with accounting-related stuff for their business, participating in my hometown's collection for the National Association of Letter Carriers' food drive, and actually writing a somewhat substantive post on this blog for once! All in all, I'm doing pretty well. Thanks for asking.